BNR EXCLUSIVE- custom gauge faces available with the "Cruze" and "Sonic" logos. Please allow up to two weeks for delivery of gauges. We keep the most popular styles in stock and ship them immediately, other styles may take a week or two to ship out. Feel free to contact us before ordering if you'd like to check stock. The Interceptor gauge is 52mm (2 1/16") in diameter and will fit in all standard gauge pods of this size. A 5' cable is included with appropriate OBD2 connector. A splitter cable is included with the dual Interceptor units. Gauges come with a black bezel with polished silver center ring with a black face as shown on right. An extra white face is also included and can easily be swapped since the bezel screws on/off. Another menu option offers the ability to swap the foreground and background colors of the display. Using this feature, for example, the gauge with a black background and blue characters (negative image) becomes a blue background with black characters (positive image). Not only can this be visually appealing but beneficial in changing lighting conditions. Positive images are easier to read in bright sunlight, negative at night. 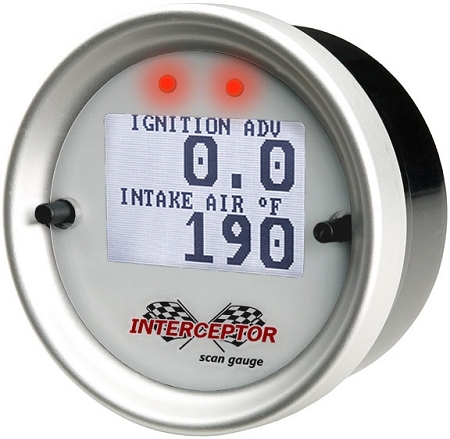 Last but not least, the Interceptor will measure 0-60 times, as well as 1/8 and 1/4 mile time and speeds. This is accomplished through a simple menu selection. 26. CURRENT GEAR- The current gear of an automatic transmission. 32. ENGINE OIL TEMPERATURE – Engine oil temp. as the Cobalt SS, Solstice GTP, Saturn Sky). 36. 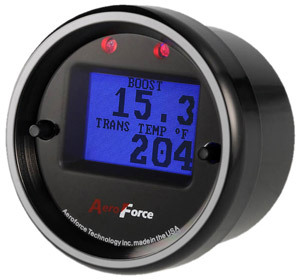 BAROMETRIC PRESSURE- Displays atmospheric pressure. All vehicles may not support this. 46. 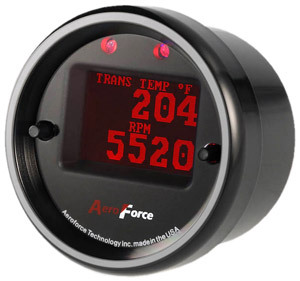 FUEL STATUS – Displays “Open” or “Closed” to indicate open or closed loop fueling. 47. FUEL LEVEL – Gallons of fuel remaining in tank. 48. Analog 1 – analog input #1. 50. COMMANDED A/F – Commanded air/fuel ratio by PCM. = 14.7/actual A/F ratio. Therefore a value greater than 1 is “rich”, less is “lean”.